1. 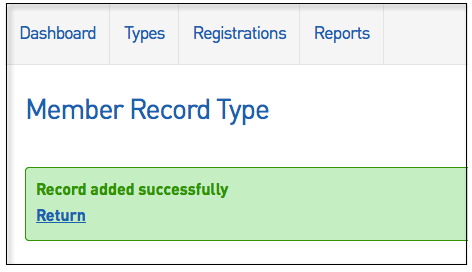 From the main dashboard page, click the cog on the right hand side and then click 'Member Record Types'. 2. 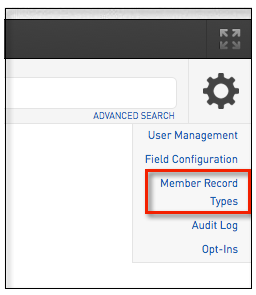 From the Member Record Types page, click the 'Add' button. 3. 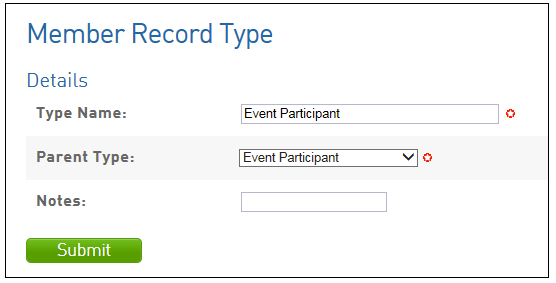 Enter in the name of the Event Member Record Type you wish to create. Be sure to link it to the correct Parent Type Event that has been created at a higher level. 4. Click 'Submit'. The below screen will appear confirming the new Record Type.